Talk about the toughest reality of leadership. Todd stopped eating after only a few bites of his breakfast. His devastation was evidenced by the pale look on his face and his steaming breakfast, which sat untouched and growing cold as the impact of my words sank in. An otherwise upbeat guy, Todd seemed to drift off at that moment. Perhaps he was wondering how he would tell his wife and kids. Perhaps he was wondering how he would pay his mortgage or provide for his family. That horrible breakfast was more than 15 years ago, and I now know that Todd landed on his feet — helped by our generous severance package. We corresponded recently, and I delighted in learning that he still wants to keep in touch. Todd seems more resilient and capable of moving on than I am. My gut still aches when I think about that morning and the awful responsibility I assumed in making the decision to terminate Todd. At that time, I did not appreciate the critical importance and necessity of wielding the axe for the sake of the organization. At that time, I had no idea that our business would grow to employ more than 2,000 people, becoming one of the 10 largest companies in our industry. At that time, I simply wanted to leave the restaurant and escape the pain I felt after devastating Todd and his family. To this day, terminating employees, at all levels, remains the most painful and difficult experience of my career. That pain was especially acute when it involved people like Todd, who worked hard, brought a good attitude, and committed themselves to the company. A fusion leader, which I aspire to be, understands that the welfare of the organization is more important than any individual. Fusion leaders, as the name implies, emphasize behaviors that “fuse” their teams together around a shared mission or purpose. Fusion leaders know it is essential to prioritize the collective ego — meaning the health of the organization — ahead of the selfish ego — meaning their own interests. 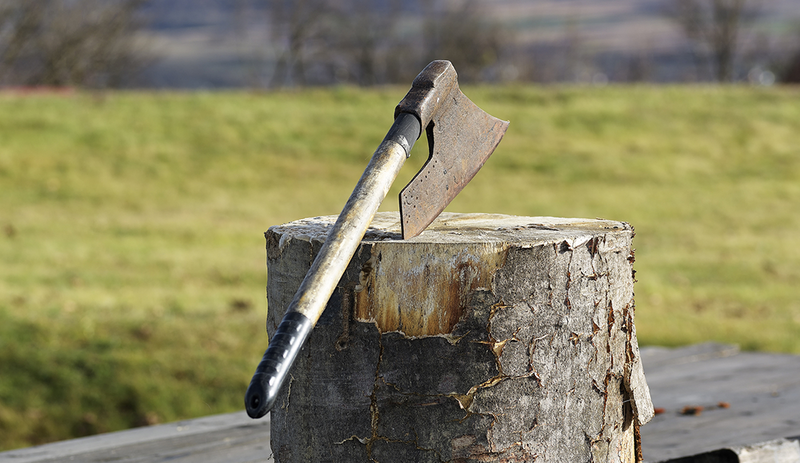 Fusion leaders know — or eventually learn, as I did — when it’s time to wield the axe! As nice and well intentioned as he was, Todd was underperforming. His results lagged and began to stand out when compared to other regions in our company. If I did not act, the future of our organization was literally at risk. The leader must terminate others for obvious underperformance. The leader must terminate others for blatant violation of company policies. The leader must terminate others for continued efforts to work against the organization’s strategy or tactics. Organizations are not democracies. They demand strong leadership, and strong leaders must prioritize the interests of the organization over any one individual — even nice, well-meaning people like Todd, and especially the leaders themselves. Being the boss is tough. You cannot allow your friendships, your feelings of empathy, or your need for acceptance to undermine what is best for the organization. Sadly — or fortunately — we are all human, and there are times when we don’t agree, get along, or carry our weight. This is not about judgment or measuring one’s worth. It is about demanding performance and adherence to the organization’s objectives and purpose. If one person, for whatever reason, becomes an obstacle to your organization’s purpose, they have to go. It’s the leader’s job to make that happen. A leader who fails to own this responsibility communicates the message that it is okay to chronically underperform; or that it is okay to violate company policies; or that it is okay to continually work against the organization’s strategy or tactics. The message you communicate by failing to act when it is necessary will eventually devastate your organization by encouraging a culture of underperformance or a culture of disregard for company policies. At the same time, being a tough leader does not mean that the leader needs to be cruel. There is a right way and a wrong way to terminate underperformers. Unlike some celebrities and politicians who delight in pointing the finger and announcing “You’re fired,” a great leader knows this is not about them at all. It is about what is best for the organization. At our company, we sought to evidence our desire to be fair and even-handed by supporting one of the most generous severance policies and outplacement programs in our industry. I remember challenges from my board, who asserted that these programs were too generous. I fought hard, however, to defend these policies, advocating the view that I wanted everyone in the organization to know that they would be taken care of, provided they worked hard and evidenced their commitment to our purpose, even if they or their job were terminated. Leaders at all levels face daily decisions that test their commitment to their organization’s purpose, tempting the leader to err toward their selfish interests at the expense of the organization — for example, the question as to who is the smartest person in the room when the leader conducts a meeting, or the question as to how much the leader should pay themself compared to others. The decision on when to wield the axe and terminate people is equally important — when done for the sake of the organization and implemented properly.